Clark Stationery - Stacy Claire Boyd - LotsALove. For all Gift Tag choices click here to go to our sister site to order. Item Name: LotsALove. For all Gift Tag choices click here to go to our sister site to order. Description: For all Gift Tag choices click here to go to our sister site to order. Add this fun Sweet Spruces gift tag to any package. The colors in the design include light blue, green, brown and feature geometric trees. 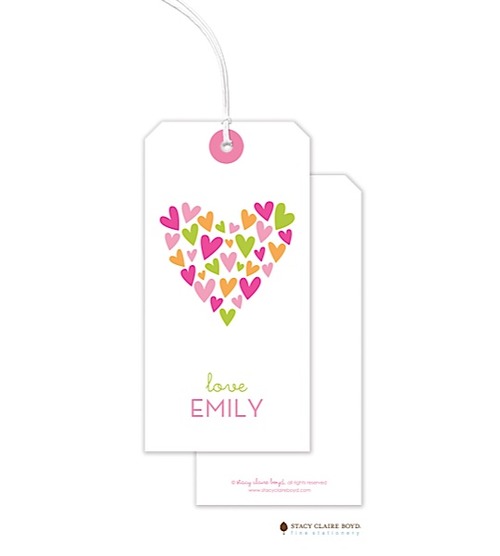 Gift Tag measures 4 3/4" x 2 3/8" and comes with a string for attaching to your gift. Price includes up to 4 lines of text (extra lines are $5.00).